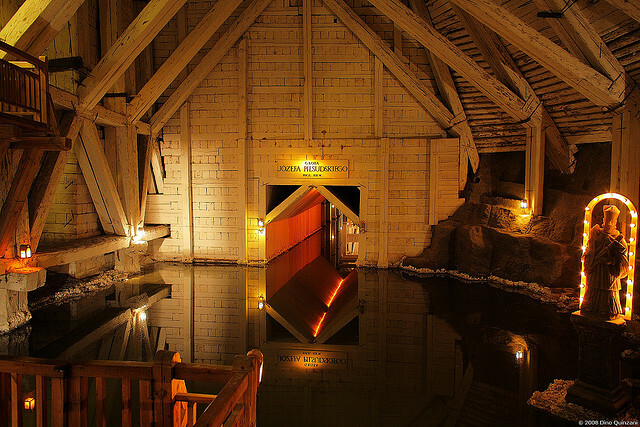 A family member sent me an e-mail about this salt mine and, I must say, this is one of the most fascinating places I have ever seen in pictures. I can only imagine the magnificent splendor of this mine when seen in person. 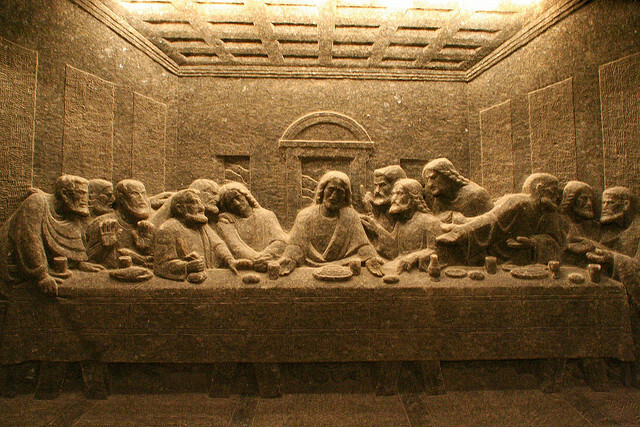 I am not Catholic but I can still appreciate the hard work and time taken to sculpt a masterpiece out of rock salt deep underground. 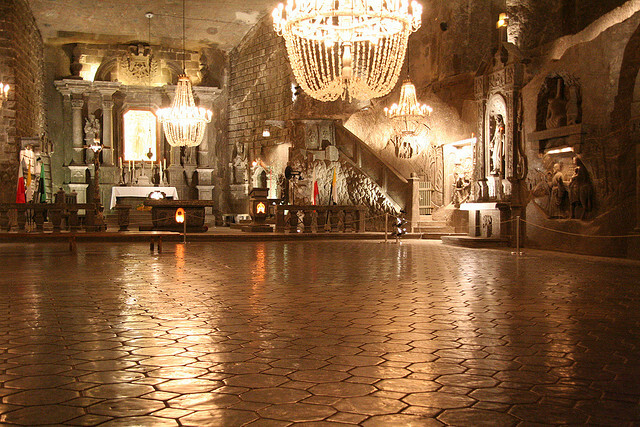 Deep underground in Poland lies something remarkable but little known outside Eastern Europe. For centuries, miners have extracted salt there, but left behind things quite startling and unique. 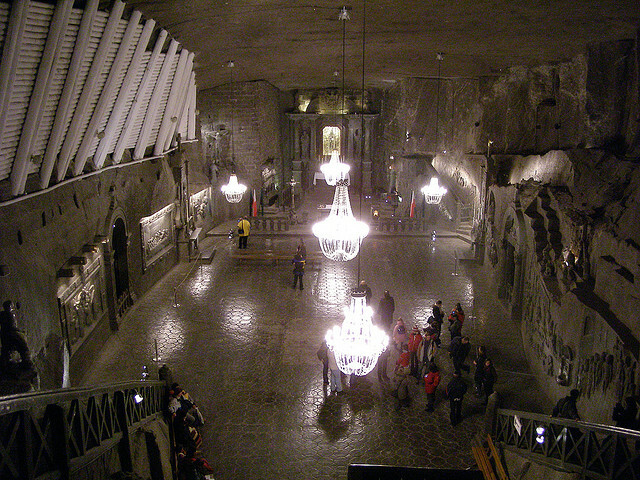 Take a look at the most unusual salt mine in the world. It may feel like you are in the middle of a Jules Verne adventure as you descend in to the depths of the world. 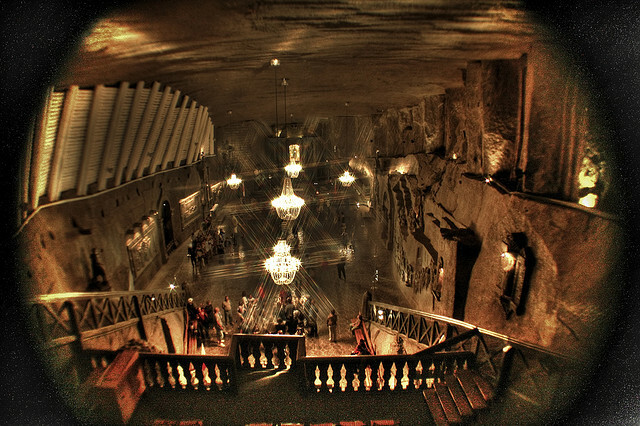 After a one hundred and fifty meter climb down wooden stairs the visitor to the salt mine will see some amazing sites. About the most astounding in terms of its sheer size and audacity is the Chapel of Saint Kinga. The Polish people have for many centuries been devout Catholics and this was more than just a long term hobby to relieve the boredom of being underground. This was an act of worship. Another remarkable carving, this time a take on The Last Supper. The work and patience that must have gone in to the creation of these sculptures is extraordinary. One wonders what the miners would have thought of their work going on general display? They came to be quite used to it, in fact, even during the mine’s busiest period in the nineteenth century. The cream of Europe’s thinkers visited the site – you can still see many of their names in the old visitor’s books on display. Not all of the statues have a religious or symbolic imagery attached to them. The miners had a sense of humor, after all! Here can be seen their own take on the legend of Snow White and the Seven Dwarves. The intricately carved dwarves must have seemed to some of the miners a kind of ironic depiction of their own work. 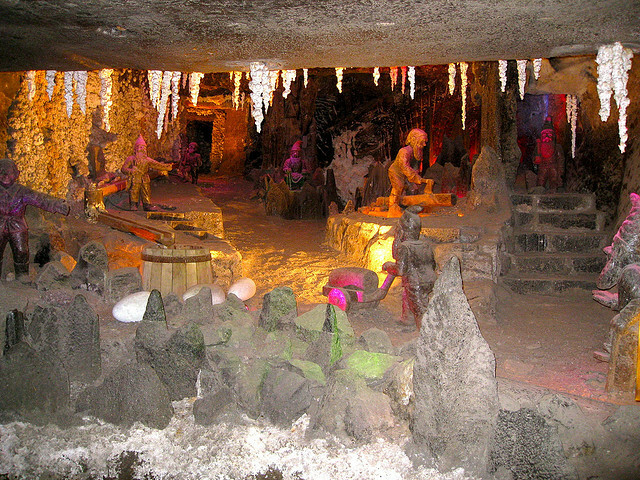 To cap it all there is even an underground lake, lit by subdued electricity and candles. This is perhaps where the old legends of lakes to the underworld and Catholic imagery of the saints work together to best leave a lasting impression of the mine. How different a few minutes reflection here must have been to the noise and sweat of everyday working life in the mine. To see more pictures and learn more about this incredible mine, click here.